* Easily and Fast Rip & Edit DVD Movies according to your personal demand. * Support to encode DVD to H.265/HEVC codec. * Mac DVD to video toolbox for backing up, converting and editing DVD movies. 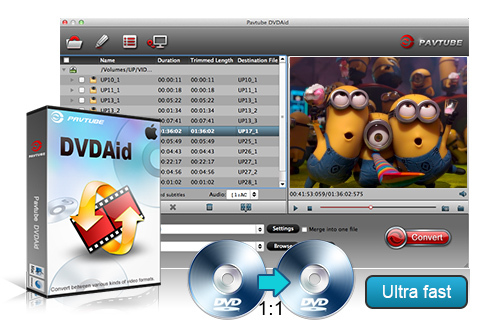 * Convert DVD to video/audio on Mac in 200+ formats. Work well on Mac-based computer, including the latest Mac OS X 10.11.